TP4056 18650 Charging Board... Series Out? > TP4056 18650 Charging Board... Series Out? Edit: I am using 3 boards and 3 batteries. I can someone tell me if it is ok to hook up the OUT on these boards in series? I am trying to build a 12v system and I am not sure if this will damage the charging boards. Re: TP4056 18650 Charging Board... Series Out? Sorry. To clarify I plan to use 3 charging boards with 3 18650s. I will power the boards with 5v. I need to have 12v from the 3 batteries though. Sorry. To clarify I plan to use 3 charging boards with 3 18650s. I will power the boards with 5v. The board uses common ground (supply and battery), so your plan could work with three separate 5volt (cellphone) supplies. Using one 5volt supply (e.g. connecting them to one USB hub) will short out two batteries. Maybe better to use a proper 3-cell ballance charger. Don't do that. It will destroy your charging boards because of short circuit at the output. Should be used separately 3-charger as @Wawa recommended. It will damage your unit. The out port provides only 4.2 -4.3 volts , just enough to charge a single li-ion cell. So you shouldn't connect your cells in series. Some people tried connecting cells in parallel but since this one doesn't have a balancing circuit you shouldn't do that either. Just stick with 1 unit per cell like everyone else suggested. I am using 3 boards and 3 batteries. still connecting the OUT in series won't work coz the chip is designed to turn the charging off when battery reaches 4.2V. So are you saying the chip would see the 12.6v? I guess this brings up some more questions. Can the input to these boards all use the same 5v source provided it there are enough amps? 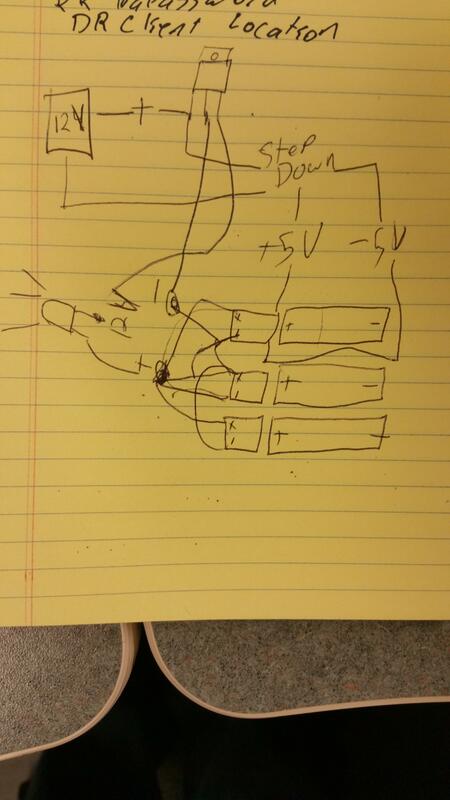 Can I run all three outputs in parallel and then step up the 4.2v to 12v? Here is a quick sketch I did a while back. I am trying to build a simple solar powered 18650 powered light. I have a few P channel mosfets laying around. They are not logic level. I believe they need 9v at the gate to shut off. If you look at the board pictured in the original post, you can see the trace connecting the input "-" to the output "OUT-". If you wire the outputs in series with a common ground at "-" two of the "OUT+" pins will be shorted to ground. The charger may tolerate this, since they current limit by design, but shorting batteries that have any charge on them is not going to end well. Absolutely. Even if there aren't enough amps it will work by charging at a lower current. It should work. Although that 4.2v will soon drop back to 3.7v. I am trying to build a simple solar powered 18650 powered light. maybe you should tell more about your pproject and we can help you find the best solution. There are better options, You could use a 19 or 18v laptop battery pack. It has a built in balancing circuit. You just have to step down the voltage to 12V. 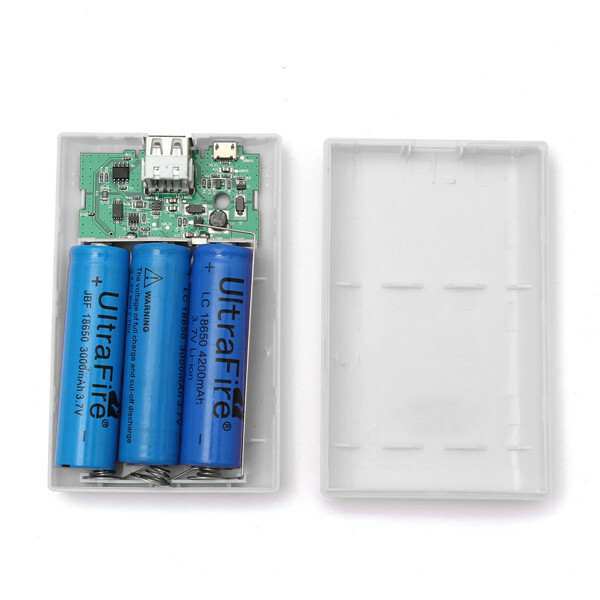 you could use a DIY powerbank kit like this which could charge multiple 18650 cells without any problems. I am mostly just trying to educate myself. I am trying to build 18650 solar light. I would like the lights to come on when it gets dark and go off when the batteries reach a set voltage or when it gets light out. I have some p-channel mosfets (9v gate) and I have some logic level P channels on the way. I have a few cheap 18650s, and I hope to have some Panasonic 3400s fairly soon. You can use a small photoresistor to get the lights to turn on when it gets dark and turn off when it's not. 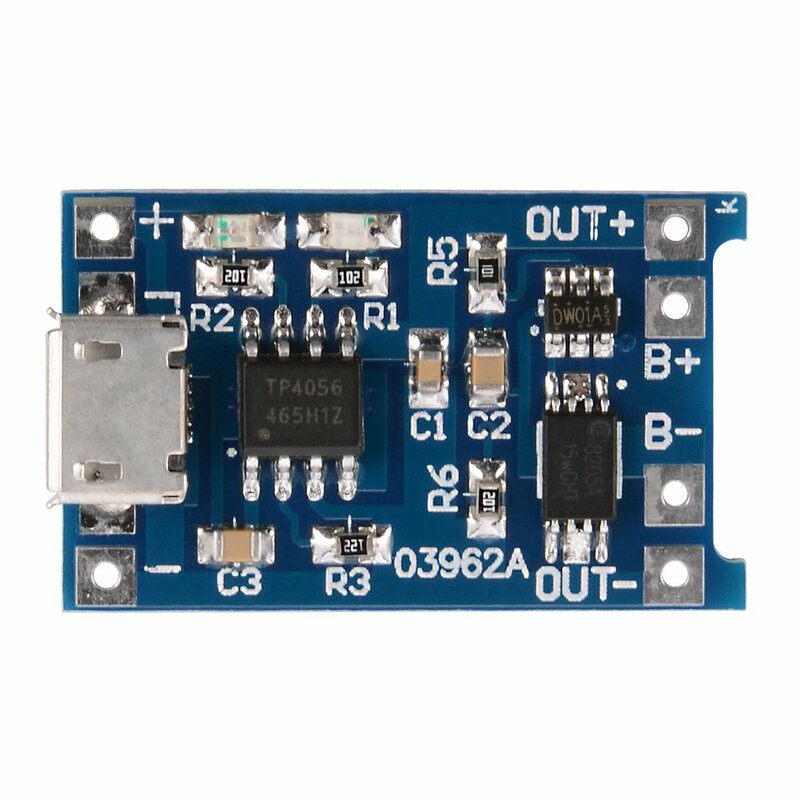 The TP4056 module has a discharge cutoff function that stops the battery from providing power when it's charge is too low to prevent any damage to the battery. Well, why didn't you say this before. You don't really need 3 batteries for that. A single 2600mAH 18650 has about 9.3WH so it can power you 0.6W LED for about 13-15 hours = more than enough to power your light from for a dusk to dawn. Them Panasonic 3400s will give you well above a 20 hour runtime. Just use 1x 5V (2.5W) solar panel for the setup I suggested. 500mA is more than enough to charge a single 18650 cell. At optimum conditions your panel will fully charge a 2600mAH cell within 6 hours. You don't really need MOSFETs for a 0.6W LED, Transistors will do the job. Just connect that photoresistor to the Transistor. Maybe I've missed something, but I don't think this is correct. The TP4056 is a charge only device. Started in Commercial MicroProcessor design in 1979. Been interested in electronics and amateur radio stuff ever since. Co-Designer of the worlds smallest (known) operational satellite, $50SAT. Now experimenting with LoRa and long distance tracking. The output of the TP4056 module connects direct to the battery and the load is connected across the same connections as well. As the load does not go through the TP4056 module even if the TP4056 module were to shut down, the battery is still connected to the load.